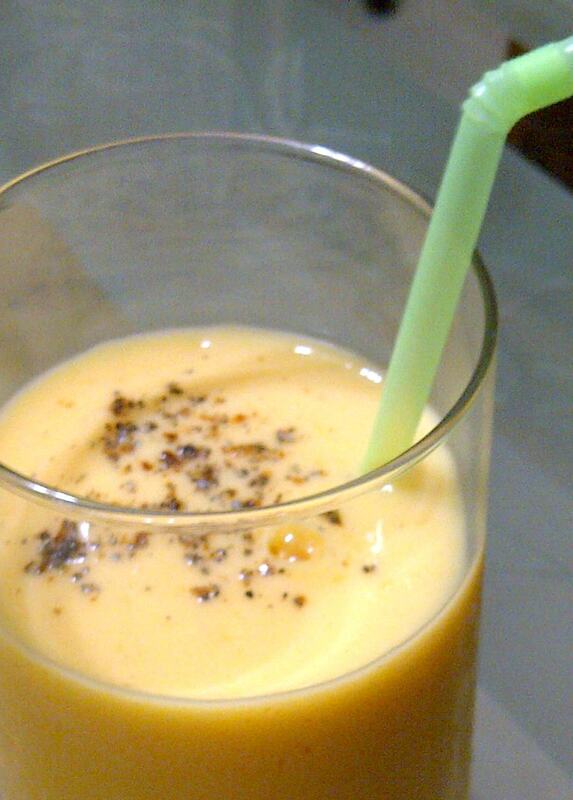 Decided to do another simple & refreshing drink today using the fresh mangoes in season. Not only does it taste delicious from the sweetness of the mango and the tart flavor from the yoghurt, but its also healthy. It would be great for breakfast and also during Ramadan which is just coming up in a few days. 1. Blend together the mango, yogurt, milk, sugar,salt, elaichi (if using) and ice-cubes until smooth. Taste, and adjust with extra sugar or salt. Garnish with a pinch of ground elaichi. 1.Saffron - 1/4 tsp dissolved in a little bit of milk; saffron's quite a strong taste, but for those who like it, this goes really well with mango and tastes delicous.